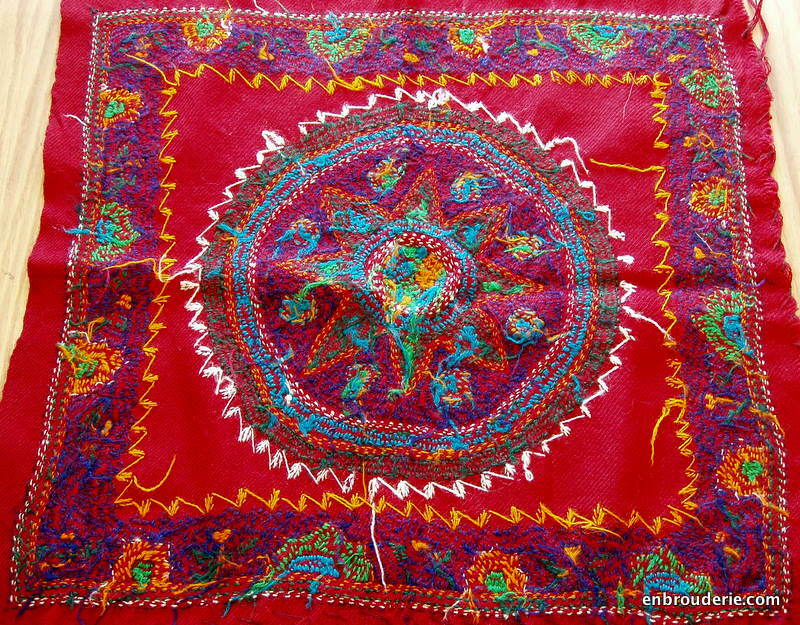 I posted about Iranian pateh embroidery twice before (Cypress tree in Iranian embroidery, Iranian pateh embroidery), but there is one more example in Dr. Shirazi’s collection. It’s a great example of a simple overall design that looks very intricate because of the way the individual elements are worked. 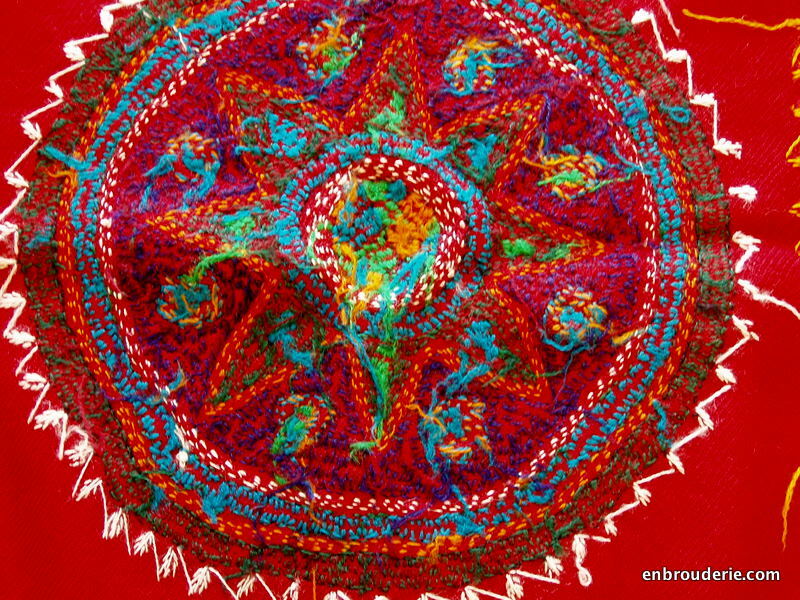 This embroidery has a large circular central motif with a star. 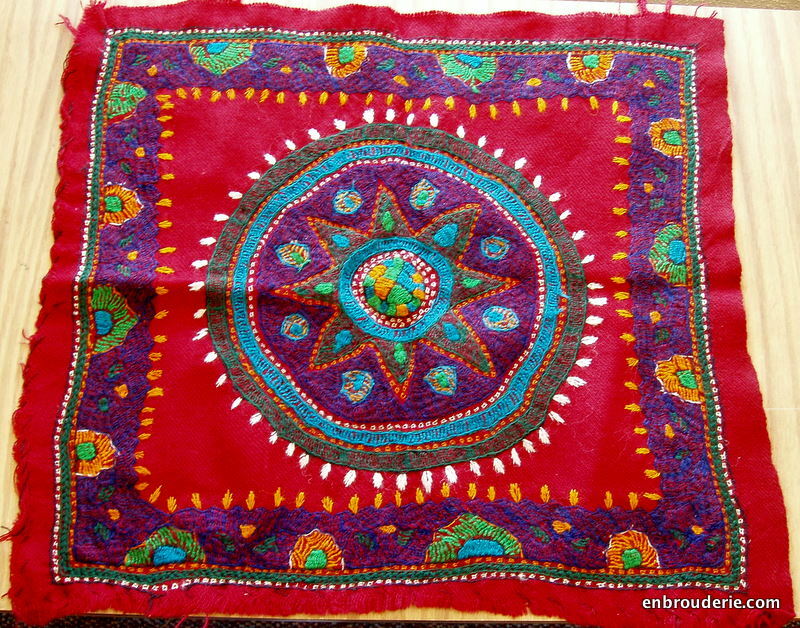 I haven’t really seen this style of stitching much in other embroidery traditions. Here is a closeup to guide you if you are interested in trying something similar. If it helps, here is the back of the central motif, too. 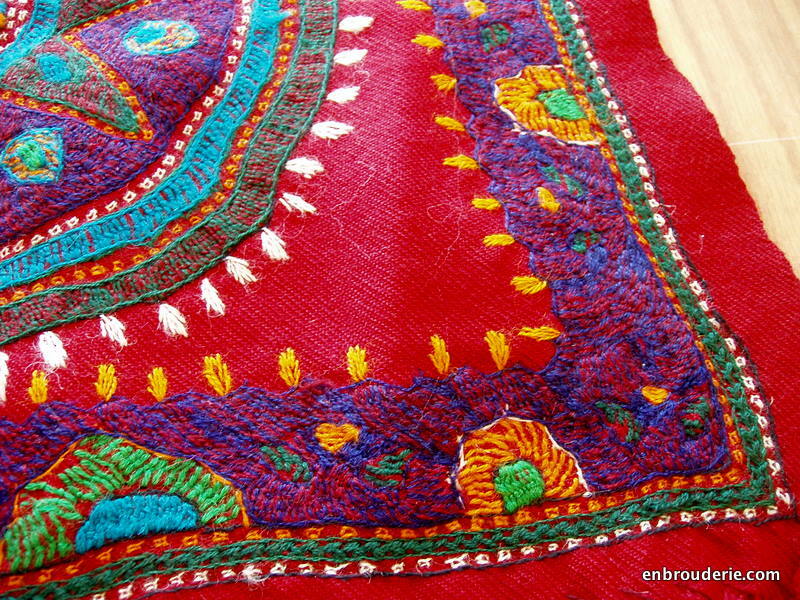 Finally, take a look at the border, from the front and the back. 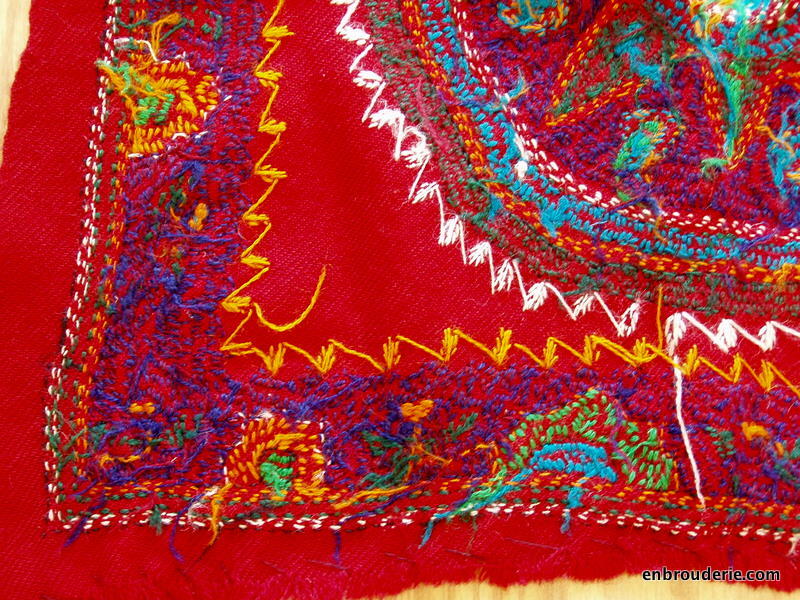 This entry was posted in Embroidery around the world, Shirazi and tagged embroidery, iran, iranian embroidery, Needlework, pateh. Bookmark the permalink. 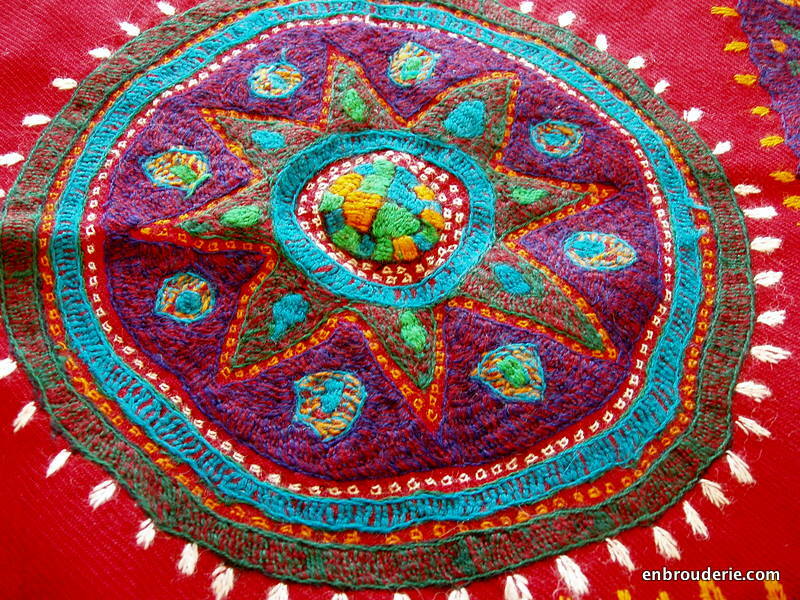 This is so cute..Awesome embroidery & color ! 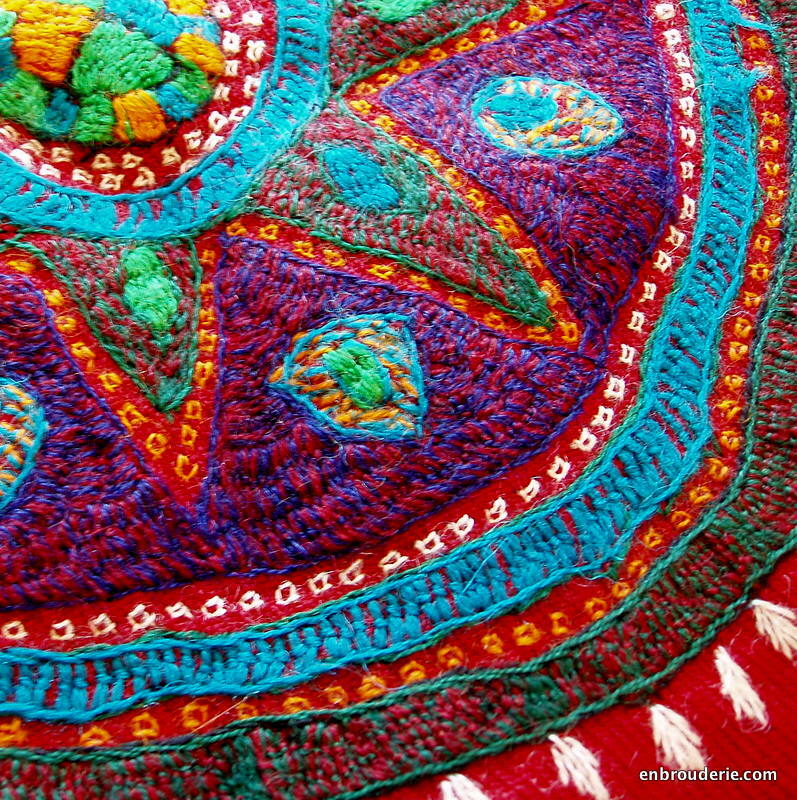 Wonderfully bright and vibrant colours – gorgeous!